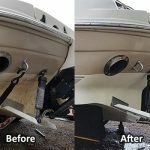 What procedure should I use to clean and polish my boat. 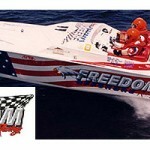 I presently have the following three products: Boat Clean Plus, Boat Scrub and Boat Shine. As I understand it from the labeling on the products, if I only want to wash and shine the topsides and hull of my sailboat, then I should first scrub it using Boat Clean Plus using 1 part Boat Clean Plus to 15 parts water and perhaps a 50/50 dilution along the water (scum) line. Then, I should use Boat Scrub using a cloth per the directions on the label. Then I should apply two coats of Boat Shine, allowing 24 hours between coats per the directions on the label. Do I then need to apply Sure Step which I don’t yet have, following the above ‘three step’ process. For our purposes, the hull or shell of the boat, excluding masts, and superstructure consists of three parts, the deck, topsides (area between the waterline and gunwales) and bottom (area below the waterline). For cleaning or washing the topsides and the deck of your boat, use the same procedure. In the spring, I recommend deep cleaning the fiberglass surfaces and stripping off any old wax or polish that might inhibit the attachment of the new polish. To do this first rinse the surface with water to get as much dirt and grit off and then wash with a solution of Boat Clean Plus and water at a ratio of 1:4, followed by a scrubbing with Boat Scrub. Use a deck brush on the non-skid areas and a Marine Power Mitt, sponge or rag on the smooth parts. Don’t use the deck brush on the smooth parts or you will scratch these areas. Rinse the surface well and let dry. Both of these products are non-corrosive, biodegradable and free rinsing, so they will not leave any residue behind. 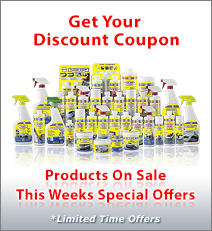 This cleaning will also remove scum or slime, exhaust soot, scuff marks, etc. If you have a stain along your waterline, that’s caused in most cases by bacteria or algae imbedding itself into the pores of the gelcoat. All the surface cleaning in the world will not remove it. You will need Waterline Stain Remover to get this stain out. A lot of people are confused by the necessity of using two different cleaners, but the reason is that they have different cleaning properties. engines and break down dried on bird poop. At a ratio of 1:15 to 1:20 it’s gentle enough to be used a boat wash, without stripping away the polish. It also has super surfactants to penetrate into the pores of the gelcoat to promote deep cleaning. As tough on dirt as this cleaner is, it’s gentle enough to be used on all substrates on a boat. 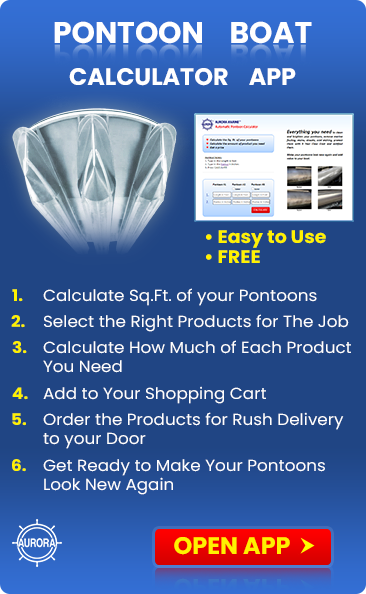 You can even use it for cleaning sails and upholstery without damaging it. It has so many uses that it will replace over 25 different cleaners that you would use on your boat. Boat Scrub on the other hand is a deoxidizer. Everything on the planet oxidizes over time and it’s important to get this degraded material off the surface before applying the polish, so that the polish can adhere to and protect the surface and not the old wax or polish or chalky fiberglass. 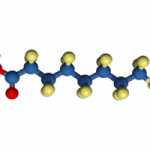 It also has hypexine for leaching our stains and brighteners to enhance the brilliance of the material before you seal the surface with the polish. It will clean and remove the stuff that Boat Clean Plus can’t, whereas Boat Clean Plus is more effective at breaking down and removing greasy and organic materials and will penetrate deeper. It will also remove surface grit that could scratch the surface when using the Boat Scrub directly on a dirty surface. When it’s “Aurora Clean” you should be able to run your finger across the surface and hear a squeak. Applying the polish is easy at this point. 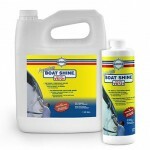 Apply Premium Boat Shine to the hull and the smooth parts of the superstructure. Rub it on with a damp sponge or cloth and when it dries to a haze, wipe away the haze with a soft clean cloth. I use old terry towels. After a minimum of 24 hours and within 7 days apply a 2nd coat. For the deck, non-skid as well as the smooth parts if you wish, apply Sure Step. Depending on how aggressive the texture is, you can apply it with a damp sponge or medium bristled brush. When it dries to a haze, wipe away the haze with a terry towel or clean brush. If the texture is aggressive you will have to use a brush and forgo the towel. A lot of boaters are now using the Sure Step on the smooth parts of their decks to give them extra traction on those areas. Apply with a damp sponge and when it hazes over, wipe away the haze with a soft clean cloth.